People sure do love jailbreaking their iOS devices. 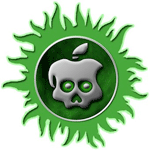 In fact, after Friday’s launch of the Absinthe A5 tool, jailbreaking iOS 5 on A5-powered devices was almost as popular as the iPhone 4S itself when it first launched. Nearly 1 million people jailbroke their iPhone 4S or iPad 2 between Friday and Monday, according a blog post from the Chronic-Dev Team, who took the lead in developing the untethered solution for jailbreaking iOS 5 on Apple’s newest gadgets. News of Friday’s launch of Absinthe A5 temporarily crashed the greenpois0n site, as it evidently gave hundreds of thousands of users a fun weekend mini-project. The initial tool was only released for Mac OS X, but a Windows version quickly followed over the weekend. Not surprisingly, the iPhone 4S was the most-jailbroken device with over 491,325 phones broken free from the restrictions of the iTunes App Store. Since iOS 5 came pre-installed on the iPhone 4S, this is the first time its owners could jailbreak the device without tethering it to a computer, which is too cumbersome a process to be considered by most users. The iPad 2 saw n 308,967 new jailbreaks, on top of the 152,940 second generation iPads running iOS 4 that were re-jailbroken. Those users were likely waiting to upgrade to iOS 5 until this solution was available, which is one of the drawbacks of jailbreaking. For devotees of the jailbreaking process, the drawbacks are vastly overshadowed by the benefits. Rather than be able to cite a single “killer app” that makes it worth it, most just prefer the general freedom and customizability it offers. That includes the ability to tweak the visual appearance of the device’s UI and run any number of unauthorized apps. Cydia, the repository of apps for jailbroken iPhones and iPads, contains many applications that would never meet Apple’s approval requirements for inclusion in the official App Store. For some, it’s because of trademark or copyright issues, such as video game emulators or controversial music services like Grooveshark. Quite often, the apps don’t adhere to Apple’s agreements with the carriers, who would obviously never approve of an app that lets users tether their phone to their laptop and use its data connection without paying extra. 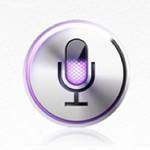 With the iPhone 4S, the feature that offers perhaps the most new potential for jailbreakers is Siri, which developers have wasted no time hacking and tinkering with. As controversial and officially frowned-upon as the whole thing is, many of the experimental features available on jailbroken iOS devices actually end up being included in the next release of the OS. This was true of recording video, which was technically possible on a jailbroken iPhone 3G. Similarly, the overhauled Notification Center found in iOS 5 bears a striking resemblance to the notification system available on jailbroken devices running iOS 4. As Apple’s gadgets continue to burn through sales records, there also appears to be a growing interest among users in doing more with their phones, much like Android device owners are already accustomed to. Truth be told, jailbreaking probably isn’t something the average user is going to get into, given the nature of the process, its risks and the tools involved. It’s really something more geared toward tinkerers and those who want more control over what their device can do. Given the massive number of iOS devices out in the wild, several hundred thousand new jailbreaks doesn’t come anywhere close to a constituting majority of of users. Rather, it’s the pace of the growth that’s interesting to see.